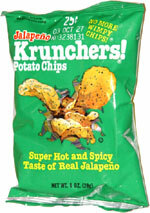 Taste test: At first, you notice the crunch (very crunchy), and then the jalapeno kicks in after a few seconds. 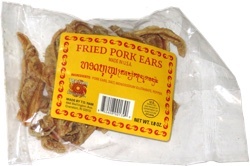 It's not the hottest we've had, but you'll still need a drink after you eat one of these. Smell test: Very strong jalapeno aroma.